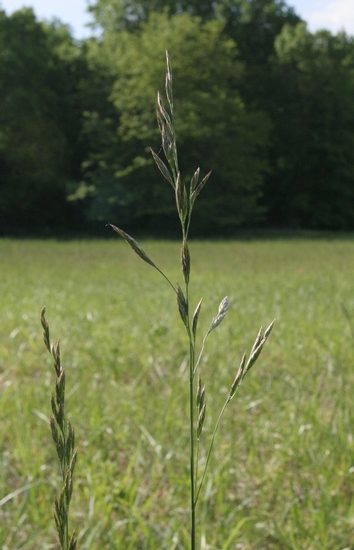 Tall fescue is an erect perennial grass that occurs as the predominant forage and lawn grass in many areas throughout the U.S. 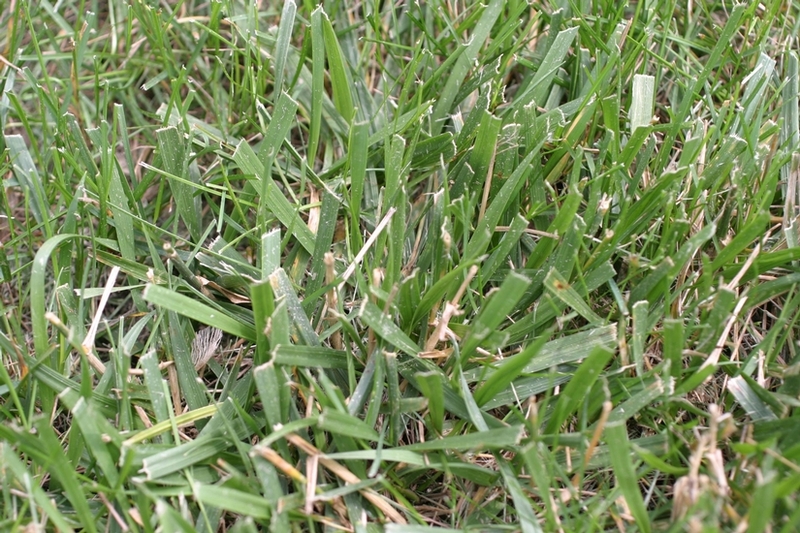 Tall fescue can also be found as a weed of agronomic and horticultural crops and certain lawns and high-maintenance turfgrass areas like golf courses, etc. Seedlings can be smooth to rough and have auricles. A ligule is present and is membranous but it is very small (0.5 mm) and often goes unnoticed by the casual observer. 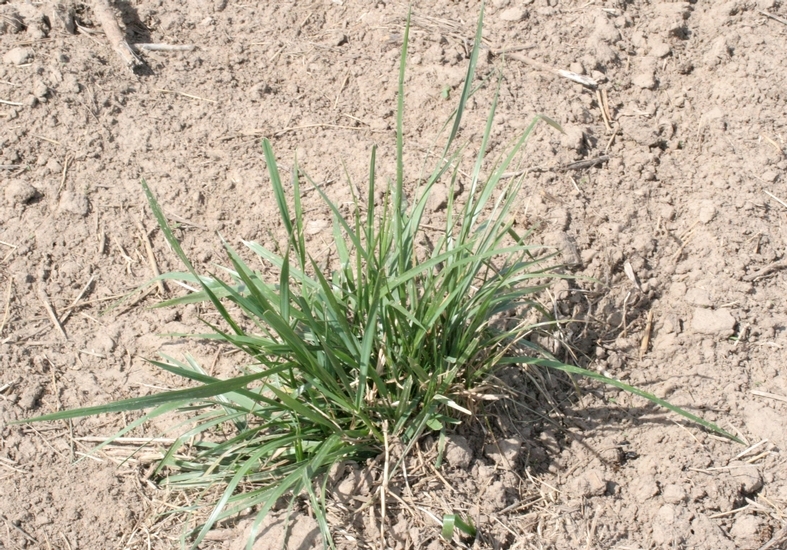 Tall fescue leaves are rolled in the bud. Leaves range anywhere from 4 to 24 inches in length and 4 to 12 mm in width. Leaves have a distinctive rough feel and blades are coarse and thick with parallel veination above and leaf undersides that are glossy. The seedheads have spikelets with 3-8 seeds per spiklet. 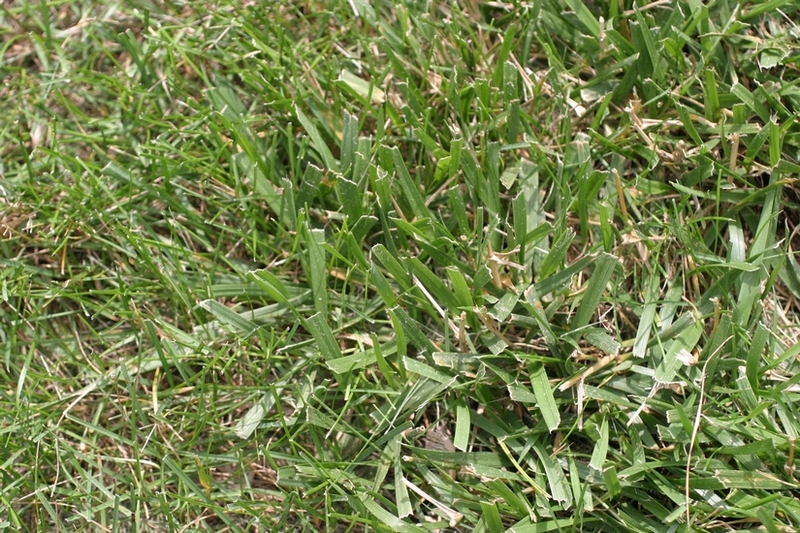 In turfgrass and lawn settings, seedheads may lay flat and remain undamaged by mowing. Fibrous root system and short rhizomes are also produced but tall fescue spreads primarily by erect tillers. 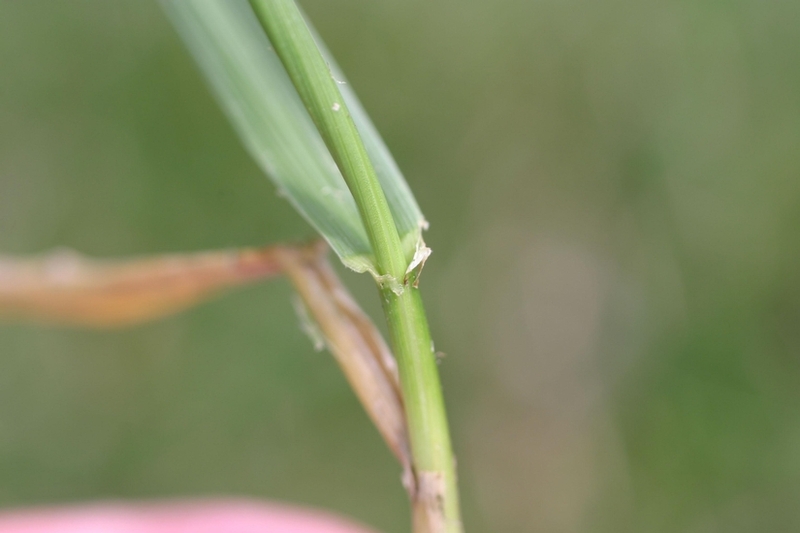 The clump-forming perennial growth habit, shiny leaf undersides, presence of auricles, and small membranous ligule are all charactersitics that help to distinguish tall fescue from most other grass species.